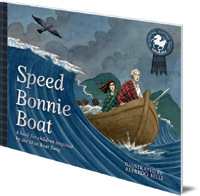 Explore the story behind the famous Scottish folksong with this beautifully illustrated retelling of Bonnie Prince Charlie's heroic journey. 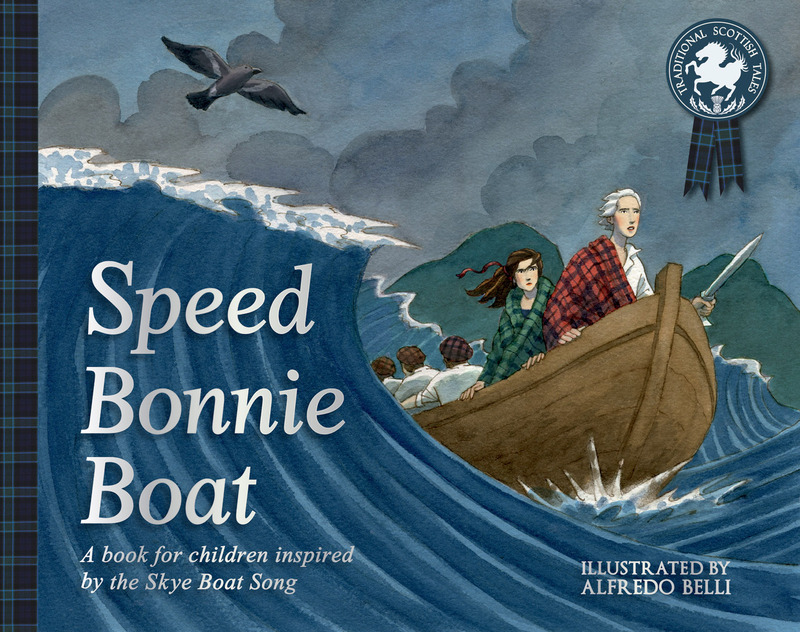 Sung throughout the world, the Skye Boat Song evocatively brings alive the story of Bonnie Prince Charlie's famous journey from the Outer Hebrides to Skye, off Scotland's west coast, after his defeat at the Battle of Culloden. This stunning picture book, inspired by the lyrics of the traditional Scottish folksong, illustrates the true story of one of Scotland's most famous heroes and introduces children to this dramatic period of Scottish history. The beautiful landscapes and seascapes of Scotland's west coast are captured by Alfredo Belli's stunning illustrations. Alfredo Belli lives and works in Rome. He illustrates children's books and school textbooks on behalf of different publishers, spanning age ranges from preschool through teen. He also contributes to various advertising agencies, graphic and web design studios as an illustrator and visualizer. An all-round artist, he uses a wide-range of styles and techniques, utilizing pencils, inks, watercolours, acrylic paints, oil pastels, digital and mixed media...not necessarily all together.